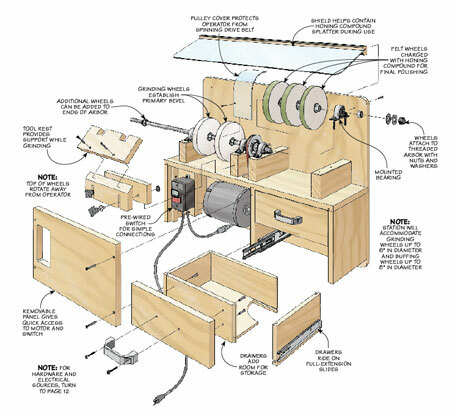 Seasoned woodworkers know that one secret to clean, accurate cuts is working with sharp tools. 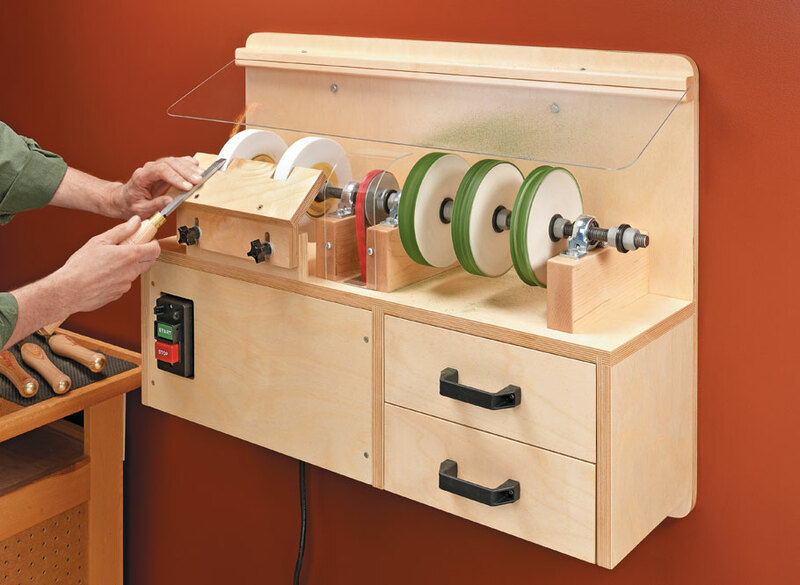 But many sharpening systems can take a long time to set up. So keeping your tools sharp becomes a real chore. 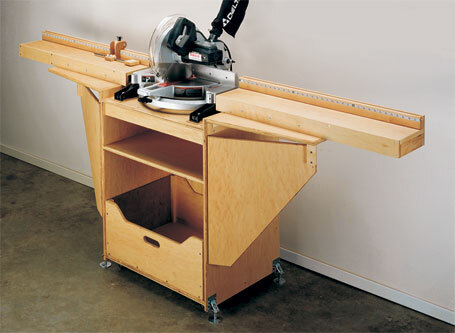 The sharpening station above solves that issue. It has multiple wheels that give you everything you need to go from coarse grinding to a mirror-like polish. And since it mounts to the wall, it’s always ready to go. 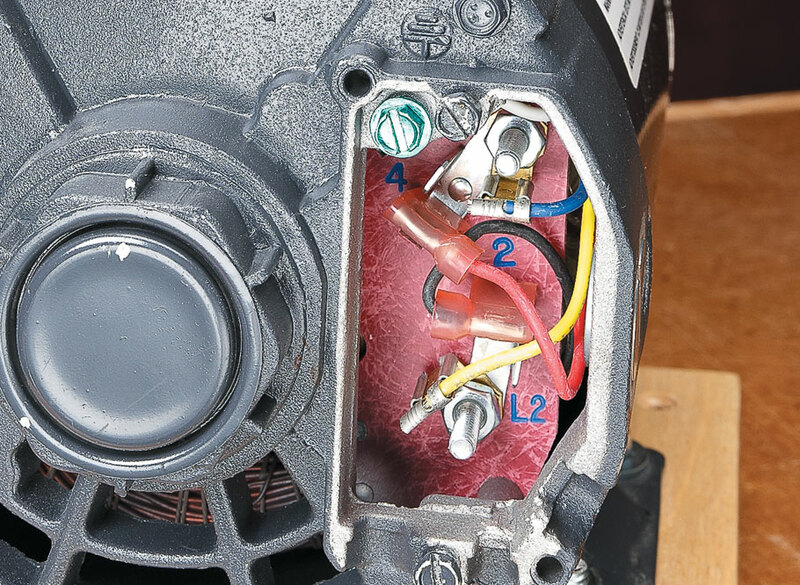 Construction is fairly straightforward and the electrical wiring is limited to simply adding a plug to the motor. 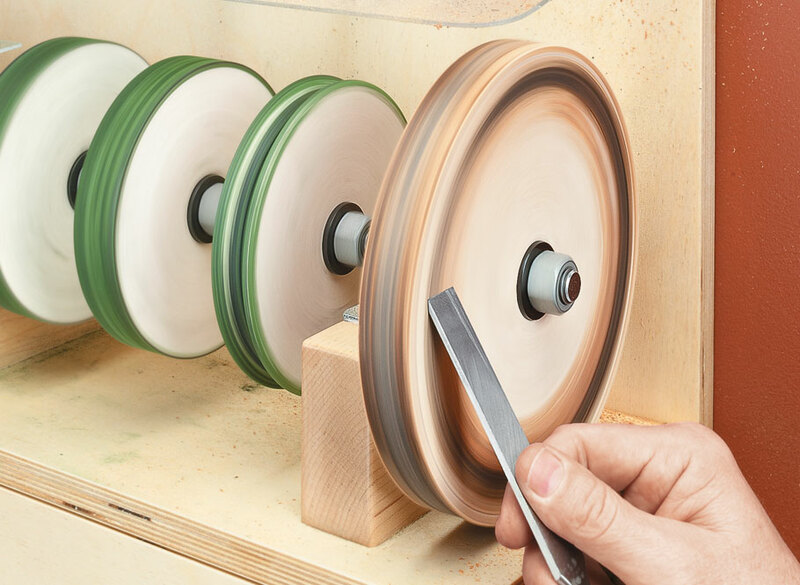 The grinding and buffing wheels mount to an arbor that is made from off-the-shelf hardware components. 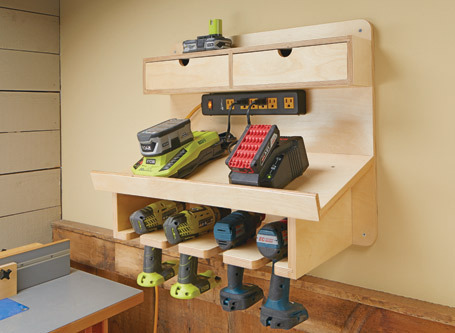 There’s no doubt that with a system like this you’ll be more likely to keep your tools sharp. And the payback will be tools that are easier to use and better results on your projects. 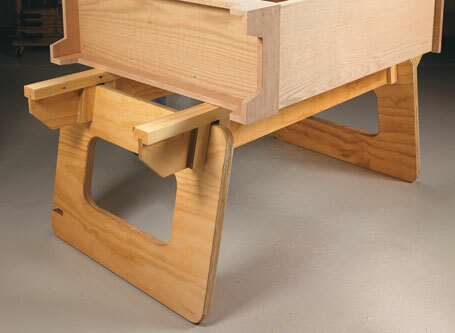 Rock-solid, practical, and inexpensive — a versatile workstation you can make from one sheet of plywood.